Last week I attended the funeral of my grandmother. 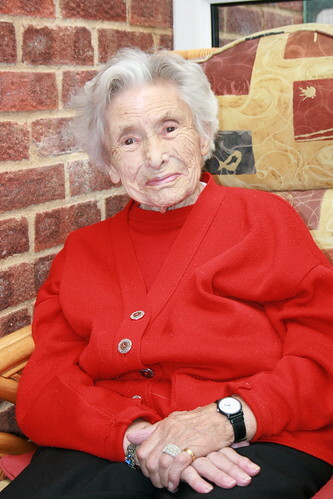 She was a joyful and mischievous individual who loved God, lived a great life and passed away peacefully at the age of 96. Her funeral was a celebration of her life and contained some fantastic stories of her adventures. As the family gathered together for the first time in years, I learned that I had relations I never even knew existed! In particular I was stunned to meet a 15 year old girl who is my second cousin. Her father (my cousin) and mother split up for reasons unknown to me and she has been living in foster care for about 6 years. This was surprising to me because my family on both sides were brought up as Christians and although not everyone has continued with the faith, the family has generally been quite stable. Now I don’t wish to appear naive here. I know family break-ups happen and have worked with many teenagers who have been through the care system, I just didn’t know about this one! As far as I know, this young lady had never met her great-grandmother and certainly hadn’t met the rest of the family so it was fascinating to talk with her and learn about her hopes and plans for the future. Even though the circumstance for meeting were sad, I hope that the day was a good experience for her and she takes comfort knowing she is part of a wider family who care about her!